M9, the new multimedia museum of Italy’s twentieth century located at Mestre, in the province of Venice, is much more than a museum: it is an important project of urban refurbishment conceived by the architectural firm Sauerbruch Hutton, winner of a 2010 competition launched by the Venice Foundation. The project is based on the recovery of a whole block which had been lying derelict for a few years. It was formerley the Monastery of the Graces from the late 16th century and the directional building of the seventies. The museum, galleries and auditorium, along with a second, smaller area which hosts an innovative shopping centre, take up a triangular volume exceeding five thousand square metres. 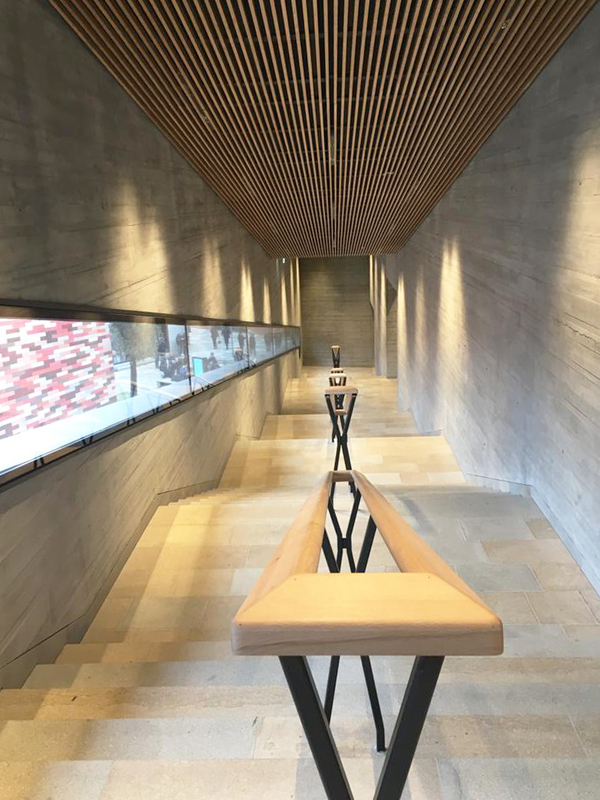 Both the spaces are covered with a ceramic polychrome material made of diagonal slats (typical of the architectural style) of 13 colours in a chromatic scale reminiscent of the surrounding context. There is also an observation deck on top of the triangular block from which you can get a glimpse of Mestre’s historical centre. The strength of this project is the blending of this new building within the existing urban context: the architects designed the public spaces as constitutive elements of a new centre and added a pedestrian connection from the E. Ferretto square to via Cappuccina, the main road from which it is possible to reach the block by all means of transport. The M9 museum is surely the centrepiece of this project and is unique of its kind. 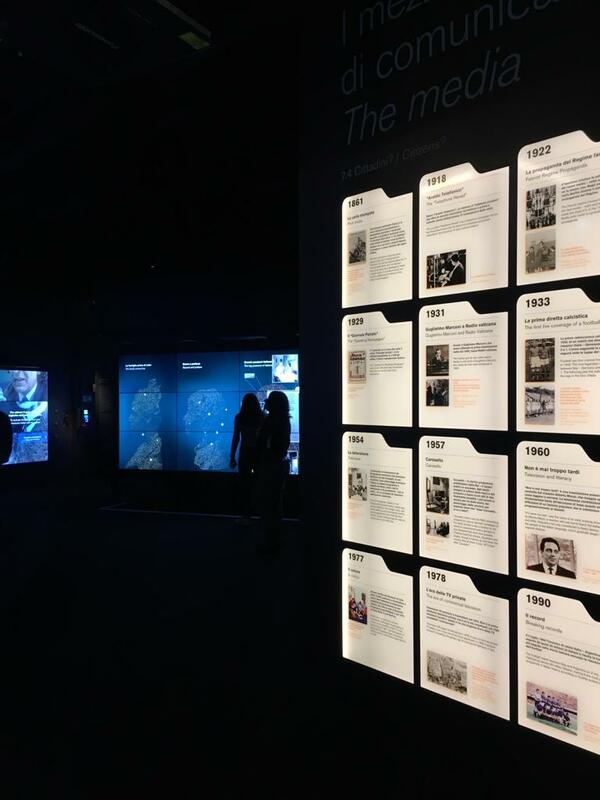 The exhibition develops over two floors, displaying Italy’s history through the twentieth century, informing Italians about their past, thanks to the use of new technology. The path is divided into eight sections with some interactive installations designed by five multimedia studios. A journey through large and small events, demography, language, cinema and music, everyday lifestyle and the evolution of politics. 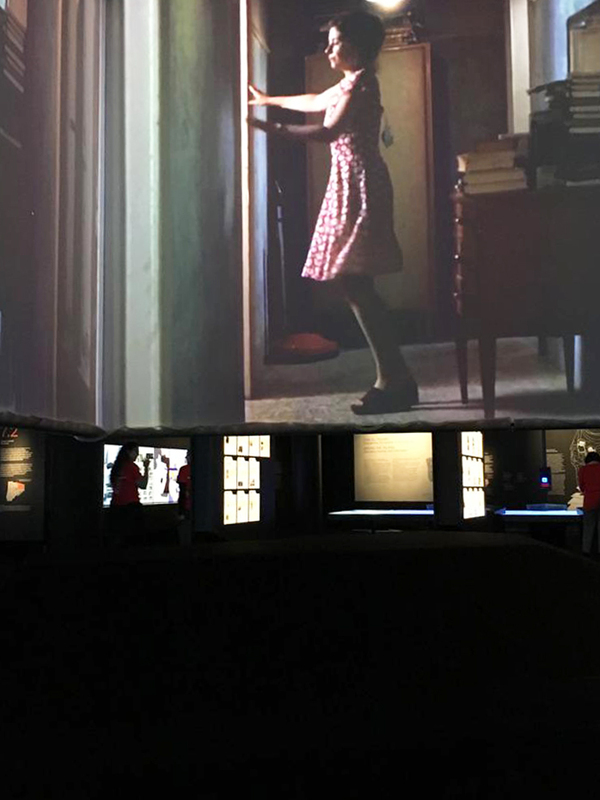 “This must be a constantly changing museum”, said the director Marco Biscione, “it is a multimedia museum where technology plays an important role, but technology tends to become obsolete. The museum will therefore have to reinvent itself not only in terms of means of presentation, but also in terms of contents”. In addition to the exhibition floors, the M9 also has a cinema / concert hall with 200 seats, high definition 4k technology and VR headsets. M9 is definitely not a traditional museum, it is a multifunctional centre, rich in events, perfectly in line with European standards. 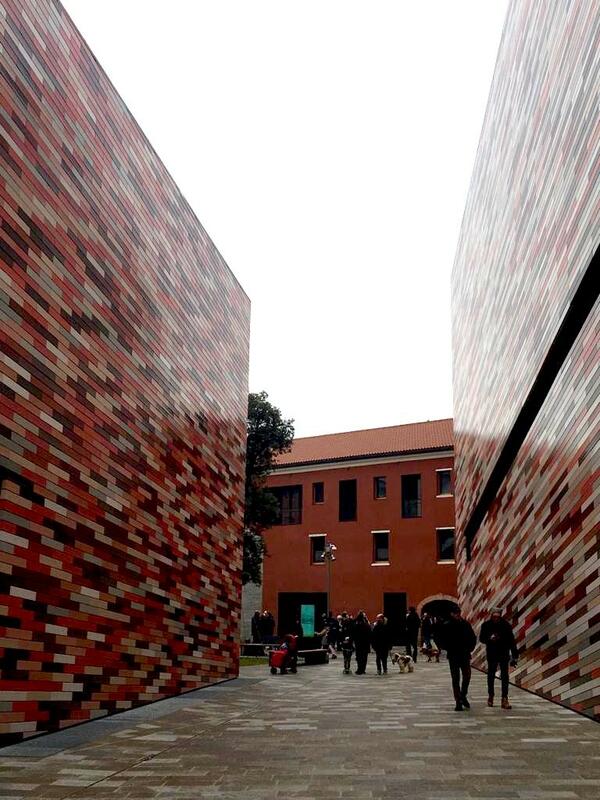 It is a structure that aims to become an important national reference point and give new life to the city, often penalised by the diversity of the cultural on offer between Mestre and Venice.